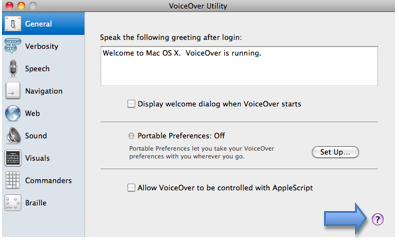 VoiceOver is the screen reader built into Mac OS X. 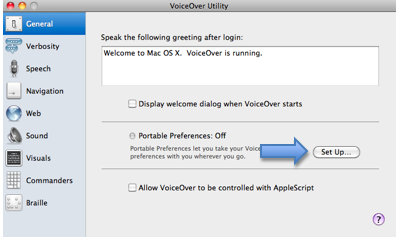 Using the preferences in the VoiceOver Utility, VoiceOver can be customized to meet each student’s specific needs. 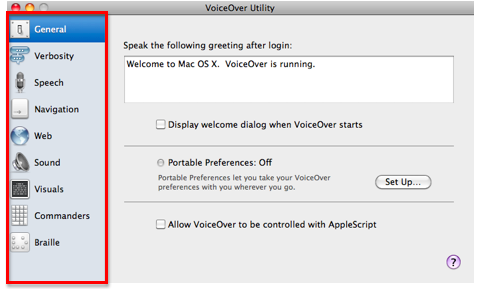 Choose Open VoiceOver Utility in the Seeing pane of the Universal Access window. 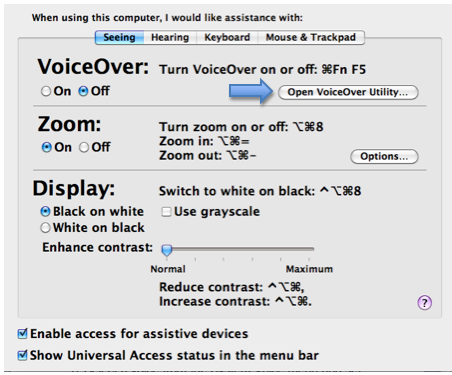 The VoiceOver settings will be organized into categories. To view the settings in each category, select one of the panes on the left side of the window. To view contextual help for the settings on any pane, click on the question mark icon in the lower right corner of the window. This will open a popup window with an explanation of each option available on that pane. 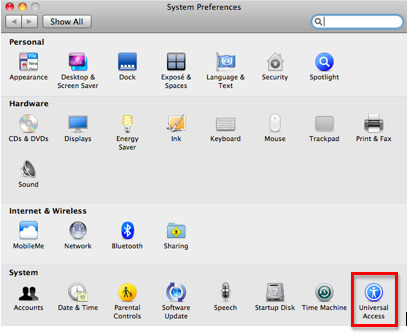 To transfer your settings to another computer, choose Set Up in the General Pane, then choose a location to save a preferences settings file. On the other computer, choose File, Import Preferences while you have the Universal Access window open, then locate the settings file you saved in Step 5 above.